Mariah Carey shares the video for "With You," the latest single from her forthcoming 2018 album. Mariah Carey is back with a new ballad. Mariah Carey is set to perform at this year's upcoming American Music Awards on October 9. Mariah Carey luxuriates in her latest clip. Listen to Mariah Carey's new single "GTFO," from her forthcoming album due late 2018. Mariah Carey gave Drake a quick shoutout for using her vocals on "Emotionless" off of his latest album Scorpion. Drake and Mariah Carey join forces on Scorpion's "Emotionless." 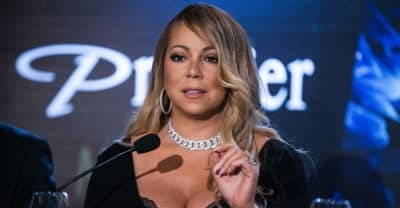 Mariah Carey told People that she was diagnosed in 2012 and has only recently started seeking professional help.